Engineers have relied on AutoTURN for over 20 years. How About You? Are you a thought leader in your company? Do you use the full functionality of AutoTURN in your projects? Do you want to be recognized as an expert in your professional network? If you answered yes to any of these questions, then the AutoTURN Certification course is for you. Transportation engineering professionals from over 120 countries are benefitting from the course materials by maximizing their knowledge of the world’s leading vehicle swept path software. Register now and get access to the free learning material today! Available Now! Explore the certification process and see the depth of knowledge available to you leading up to writing the AutoTURN exam. Learn about features and functionality of AutoTURN that can help you with each of your projects. Step-by-step exercises explain how to get the most out of the software. View case study examples of how other engineering companies have successfully used AutoTURN in their design projects. Our videos show you how the basic features of AutoTURN work and begin to teach the materials you need to know for the final exam. Log in using your Transoft account. 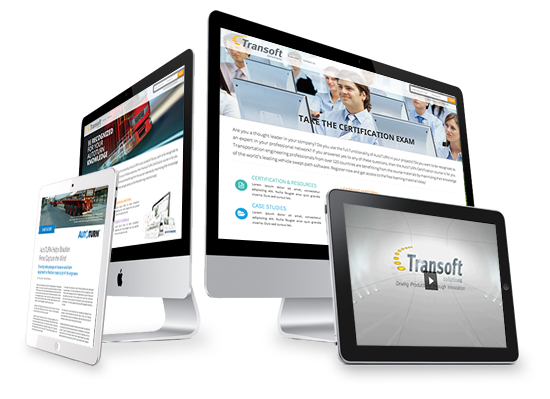 Don't have a Transoft account? Create a new account for free and start using the site immediately!